There is a lot one can accomplish in just 15 minutes. You can update your resume, grab takeout dinner, take a shower, or even explore a new educational technology or library service. That’s right, in 15 minutes, school libraries can provide effective professional development (PD) opportunities for teachers and support staff. Due to time constraints and scheduling conflicts, it can be difficult to provide formal PD during or after the school day. As information experts and curriculum specialists, it is our duty as school librarians to provide opportunities for teachers to learn about programs and resources that support classroom instruction. The obstacle, however, is finding the best time to facilitate said opportunities, especially with time being so scarce. A possible solution? 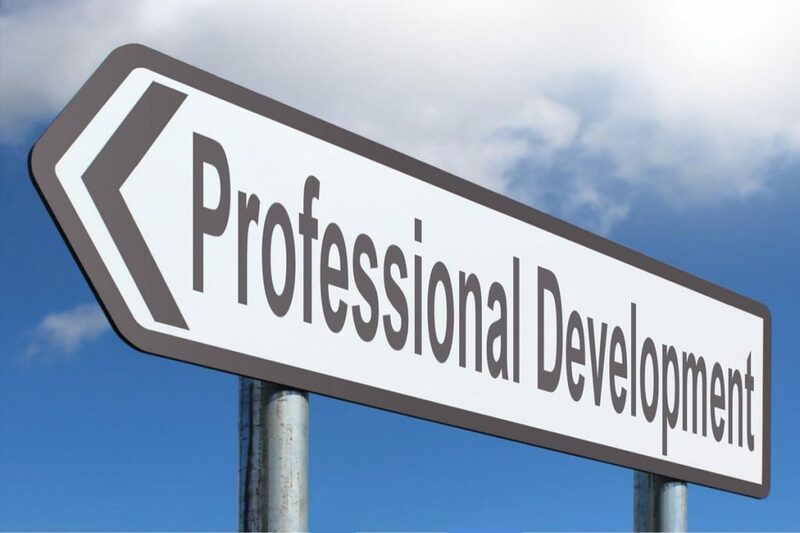 Monthly 15-minute professional development sessions for professionals on the go. 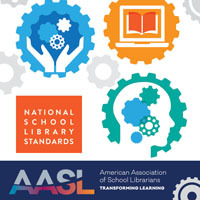 The first Common Belief of the American Association of School Librarians states: “The school library is a unique and essential part of a learning community.” School librarians are leaders of the library space and its functions. We ensure that the library environment provides members of the school community access to information and technology. 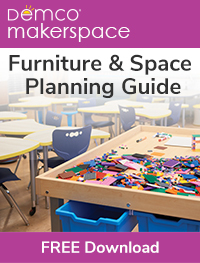 My school library has progressed over the years by acquiring makerspace supplies, offering online information databases, embracing virtual learning environments, and adopting the latest educational technology for instruction. Despite my library’s advancements, I felt as if something was missing. At no fault of their own, teachers were not utilizing the library programs and materials on a consistent basis. As a school librarian on a fixed schedule, I do not have common planning with teachers. Classes are in the library for “Special Area” from 8:20 to 2:15, so teachers cannot reserve the space as needed. I knew I had to communicate all that my school library has to offer despite these barriers. An after-school 15-minute PD that meets once a month was a good place to start. What can someone learn in 15 minutes? More than you think. In my professional development sessions, teachers get information about a great resource and they have time to give their own ideas and suggestions. Hence the name of my workshops: Get and Give. I have heard of short PDs being called Finished in 15, PD On-Demand, and Just-in-Time PD. Regardless of what you call these educational workshops, the purpose is the same: to improve learning for educators and students. It is important to keep in mind the goals, needs, and circumstances of your school when selecting the topics for your 15-minute workshops. 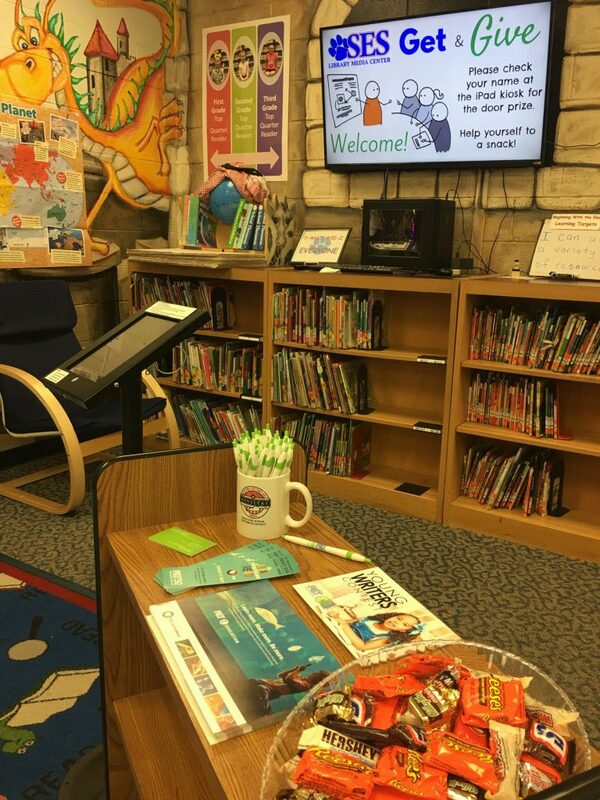 My first few Get and Give events featured the school library’s latest resources and services. For instance, I presented the book loan program between our school and the public library. 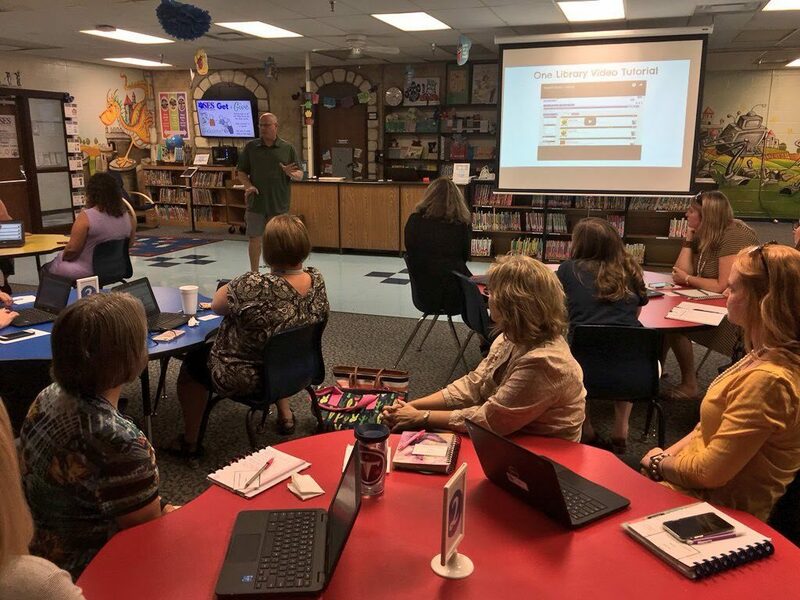 At the Get and Give, teachers learned how to search and request items from the public library. Teachers were interested to learn that reserved items are delivered to the school and later picked up by public library staff. 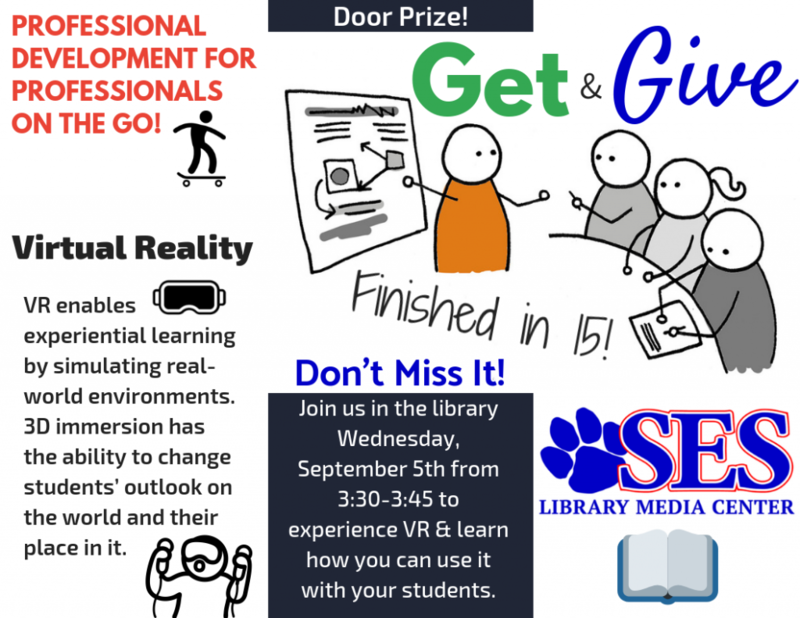 Another Get and Give I provided was about the newest addition to the school library’s suite of technologies: a mobile VIVE virtual reality (VR) system. 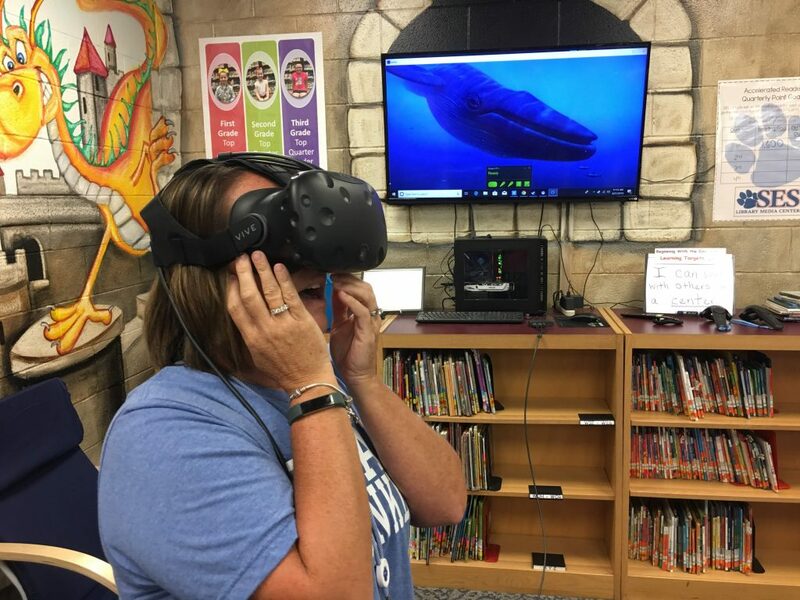 Within 15 minutes, my colleagues experienced VR first-hand, browsed available programs, and practiced reserving the mobile VR cart for their students to use. As the school year progressed, I observed a need for programs in certain aspects of classroom instruction. I noticed that when students searched for information, the majority began with Google despite the number of specialty databases available. My students have access to Britannica School, Scholastic GO!, and Explora for Primary Schools. These online databases provide fact-checked, age-appropriate content on almost every subject and are often the best places to initiate research. I decided to offer a Get and Give on these online databases. Teachers were amazed by how easy it is to access these services. They were impressed that students can change the articles’ reading level and follow along with audio narration. After my 15-minute PD, teachers decided to change their Chromebooks’ start-up page to a cluster of web links that direct users to online databases. In the future, I intend to administer short Google Form surveys to faculty about the topics they would like to see featured at the Get and Give PD. Giving my audience a voice in their learning will lead to more meaningful training events that reflect the needs of teachers and their students. I host monthly 15-minute Get and Give workshops after school in the school library from 3:30 to 3:45. A week before the PD, I create promotional graphics in Canva, a free graphic-design tool website. Canva uses a drag-and-drop format and provides access to over a million photographs, graphics, and fonts. With Canva you can create designs for the Web or print: blog graphics, Facebook covers, flyers, posters, invitations, and more. I share my Get and Give graphics with faculty through email and social media, and I place printed copies in their mailboxes. I use Canva to promote my Get and Give PDs. When teachers enter the school library for a Get and Give, they sign in at the iPad kiosk using the app, Random: All Things Generator. At the end of the 15 minutes, I use the app to randomly select a teacher to receive a door prize, which is usually a gift card to a local coffee shop or teacher store. The combination of door prizes, snacks, and engaging content results in high attendance at my monthly PDs. Don’t let your 15-minute PD opportunities end when the timer sounds. Follow-up each PD by emailing a link to your slideshow along with pertinent attachments to all faculty and staff. Even the ones who were unable to join the in-person workshop will benefit by reviewing the presentation and speaking with colleagues who did attend. Teachers will come to you with questions or seek advice on how to integrate the strategy or resource discussed at your workshop. In the time it took you to read this article, you could have introduced a resource or strategy, demonstrated its capabilities, given your audience the chance to try it out, and lead a brainstorming session for its use in instruction. What are you waiting for? The clock is ticking. American Association of School Librarians. 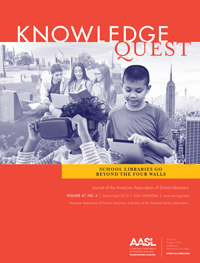 n.d. “Common Beliefs.” https://standards.aasl.org/beliefs/ (accessed December 17, 2018). 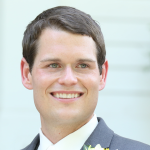 Sam Northern is a National Board Certified Teacher-Librarian at Simpson Elementary School in Franklin, Kentucky. He currently serves as President of the Southern Kentucky Association of School Librarians and Secretary of the Kentucky Association of School Librarians. In 2014, Sam was selected for the Fulbright-Hays Summer Seminars Abroad Program where he spent four weeks in China. Since then, Sam has voyaged to Antarctica as a National Geographic Grosvenor Teacher Fellow and worked aboard a research vessel on the Atlantic Ocean as a NOAA Teacher at Sea. From January to April 2018, Sam traveled to Finland as part of the Fulbright Distinguished Awards in Teaching Program to research best practices for project-based learning. Connect with him on Twitter @Sam_Northern and Facebook @themisterlibrarian.